Das Fernstudium "International Business Law" beim Anbieter "Steinbeis School of International Business and Entrepreneurship (SIBE)" dauert insgesamt 16 Monate und wird mit einem Master of Laws (LL.M.) abgeschlossen. Insgesamt belaufen sich die Kosten auf ca. 9.800 €. Bisher haben 11 Teilnehmer den Kurs bewertet. 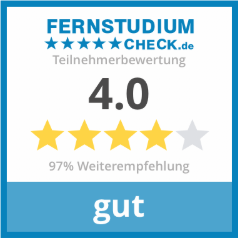 Die aktuelle Gesamtbewertung liegt bei 4.8 Sternen. Die Kategorien Betreuung, Studieninhalte und Preis-/Leistung wurden dabei besonders gut bewertet. 100% der Teilnehmer würden den Kurs zudem weiterempfehlen. Moreover the LLM team keeps alerting students about how progressing the courses, the date of oline test..... . I particulary appreciated the support of the team when I was writting down my thesis . Today for lawyer and trade professionals world is a playground. If you want to play, you need to know the rules. That why International Business Law is essential for business. With this program, you will cover all the basis for understanding how the game is played. With real-time subject seminars, you are obligated to learn and to think outside of the box. I learned how to beat opponents in this game and bring outstanding results for my clients and my self. Äusserst kompetente und aufgestellte Dozenten, herausfordernder Lehrgang und elektronisch einwandfreie Abläufe und Unterlagen hinsichtlich Videokonferenzen, Online-Fach-Chats, Prüfungen, Projekt- und Seminararbeiten sowie für die abschließende Masterarbeit. Our economy is global, the companies decide to sell their products around the world, nowadays, you can purchase some products and they will be directly in your home. As a lawyer, you need to improve yourself and be prepared for the new global system. Studying in Steinbeis means quality and you will receive the best knowledge for this global economy. It was my second international business law studies (first one I studied in Spain) and I confess I fell more prepare to defend any situation in this new global market. Otherwise, you must be prepared to meet people around the world. Das Studium ist sehr gut strukturiert und leicht verständlich aufgebaut. Die Module sind zwar unabhängig voneinander aber in der Gesamtschau sehr konsistent aufgebaut. Die Inhalte werden eingängig und schnell vermittelt. Die Struktur der Teilnahme- und Prüfungsformen ermöglicht ein eigenständiges Arbeiten und Zeiteinteilen. 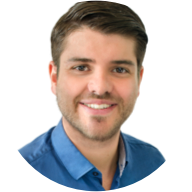 Die Betreuung ist schnell, freundlich und erfolgt auch sehr individuell. Insgesamt ein sehr gelungenes Konzept, welches auch in der Praxis hervorragend aufgeht. In jedem Fall würde ich das Studium weiterempfehlen. 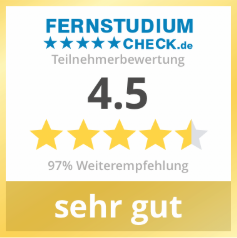 Hervorragende Betreuung und sehr gute Aufbereitung der Studieninhalte! 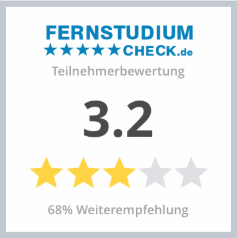 Der E-Campus ist übersichtlich gestaltet und ermöglicht so ein effizientes Lernen. Bei Fragen steht einem jederzeit ein Ansprechpartner zur Verfügung. Besser kann man Beruf und Studium nicht vereinbaren! My experiences varied throughout the different modules. Firstly, by studying online I learnt self discipline for studying as well as time management. Also, it allowed me to exchange knowledge - in our Forum - with colleagues from all over the world possessing various backgrounds. Experienced a great support from the University Coordinator, any questions, doubts or requirements was always provided in a timely fashioned manner. Als Student in Online LL.M. Programm SIBE, ich bin sehr erfreut und dankbar, Teil dieses Programms zu sein. Der Kurs übertrifft meine Erwartungen. Ich habe die Möglichkeit, meine Kenntnisse des europäischen Rechts zu vertiefen und Vergleiche mit dem Rechtssystem in meinem Land zu analysieren. Das Diskussionssystem über Foren ist hervorragend. Dies ermöglicht mir, von zu Hause aus zu lernen, ohne meine Arbeit und mein Familienleben zu beeinträchtigen. Damit gewinne ich auch Zeit mit anderen täglichen Aufgaben, da ich die Flexibilität habe, meine wöchentliche Studienroutine zu etablieren. Dieses Studienwerkzeug gibt mir Praktikabilität. Wenn ich aus irgendeinem Grund reisen muss, kann ich weiter lernen, wo auch immer ich bin. Habe einfach Internetzugang. Darüber hinaus gibt es Interaktivität, Sie haben Zugang zu verschiedenen Plattformen, die durch den Kurs angeboten werden und Kontakt mit anderen Studenten, für einen Erfahrungsaustausch. Flexibilität in den Stundenplänen und folgen Sie den Argumenten der Kollegen. The staff is very attentive and concerned with the student's satisfaction. Teachers prepared and with broad general culture. The face-to-face experience in Germany was fantastic and the course has been very helpful. Online teaching makes studying very easy, due to the flexibility of schedules. I am very satisfied. Congratulations. In 2017 I made very important decision, which I think is the beginning of my successful future career. I have chosen the School of International Business and Entrepreneurship (SIBE), because the module system offered by SIBE LL.M. Program best suited my interests and priorities.This program provides me with the best opportunity to get education abroad and at the same time live and work in my country. I was confident that I must use this chance for my professional, as well as personal development. Besides, I’m always glad to communicate with people from other countries, live in a multicultural environment and have contacts with future lawyers from all over the world. Thus, the chance to study at SIBE was a great honor for me. SIBE is one of the most popular and wanted Universities in Germany and its Law degree is the basis of future success. My goal is to receive the best education, be a successful international business lawyer and also contribute to my county’s development, in which SIBE really helps me. It's impossible not to mention the administration of SIBE. They are always ready to help and they always treat us very warmly. This attitude is very important and valuable for personally me and generally for everybody. I'm really happy that I have chance to study in this environment, where everybody anytime is ready to help student. SIBE has wonderful Professors, who are of course professionals and they are always ready to supervise us. So, I'm really happy and grateful that I have chance to be the student of SIBE. This step of my life will be always memorable and important. I advise every student who still thinks about continuing to study in this program, it is the best chance for you to study in best university and at the same time develop your working experience in your countries.